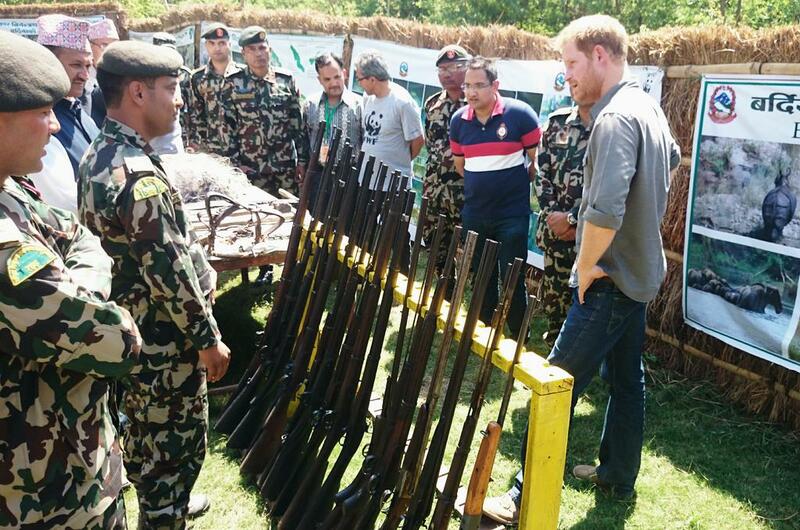 Prince Harry was hoping to see a tiger on his trip to Nepal - but he ended up having to make do with pretending to be one instead. 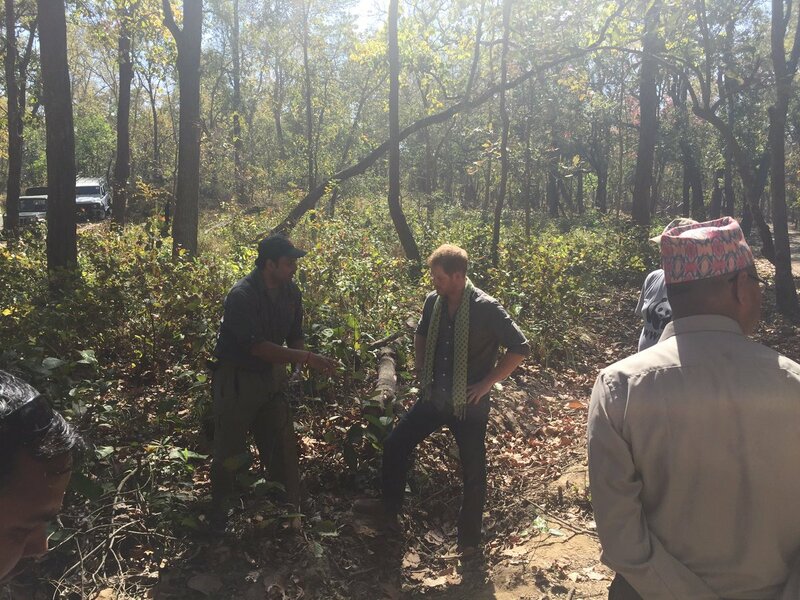 The royal did his best crouching tiger impression on a visit to learn about a conservation project at the Bardia National Park in Nepal. While examining a tiger trap, his guide suggested that Harry might like to stand in for a wild beast to see how the devices worked to photograph the predators in the wild. He was happy to take up the offer, dropping down into a crouch and shuffling forward. Whilst his impression might not win any acting awards, it was good enough to set off the device. When Harry was shown his picture as captured by the trap, he joked: "Not as good as a tiger. You'd be a bit worried if you saw one of those walking towards you." The conservationist prince was more enthusiastic about seeing pictures of real wildlife caught on camera in the park. "That was amazing, it's beautiful," he said after looking at one of the images. "Fat, healthy, really healthy. They won't struggle with food, as long as they're fit and well." Tiger numbers in the park have suffered a fall due to poaching, but they are now on the increase, rising from 18 in 2009 to more than 50 today. The big cats are worth around 20,000 US dollars (£14,000) on the black market while the average monthly wage in the region is 150 dollars (£104). 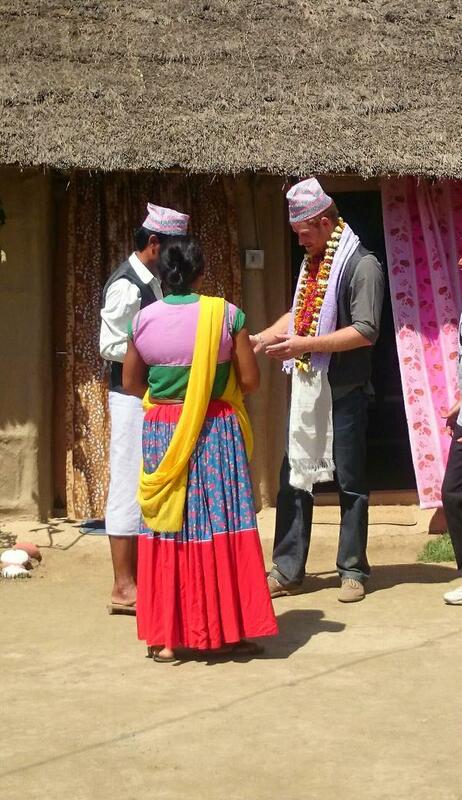 The trip was the latest stop on Harry's tour of Nepal, which he hopes will "shine a light" on the country's work to rebuild after a devastating earthquake last year.